Don is a retired engineer and long-time motorhome owner who enjoys helping readers deal with the increasingly complex technology of RVs. Your camper will eventually have some kind of electrical problem. But most people who own and operate an RV have little or no knowledge of the electrical systems in their RV or how these systems operate. 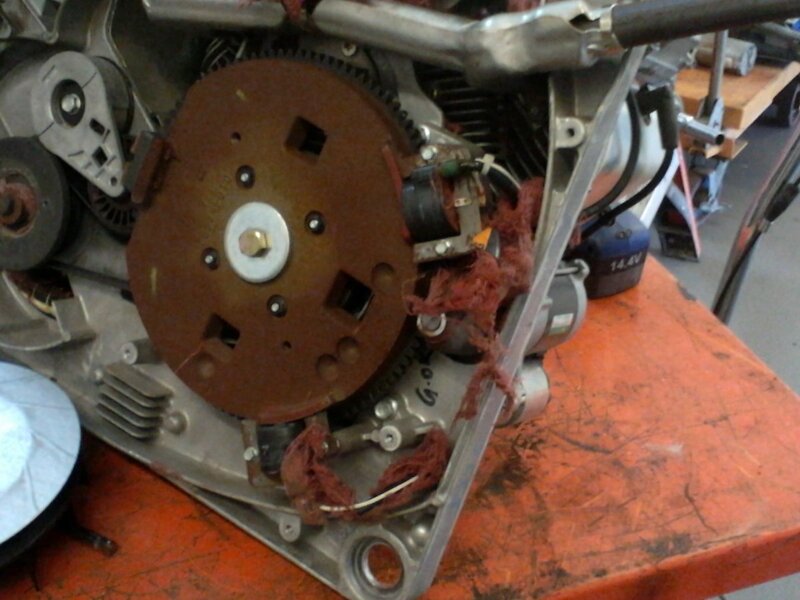 So, when something stops operating in their RV, they are often stymied about how to find the cause and get things working properly once again. And of course, when they do ask someone else for help with their problem, they're often told to use their multimeter and check for a certain voltage reading in their RV. Far too often, they will not own a multimeter or know how to use it. The first part of this article gives you a simple overview of what kinds of power systems are used in an RV, from the small pop-up camper to large, expensive motorhomes. The second part of this article will explain what a multimeter is, what it can measure, and how to use it properly. So, read through this article and you will get a good overview of what a multimeter is and how you can use one to find some of your RV's electrical problems. 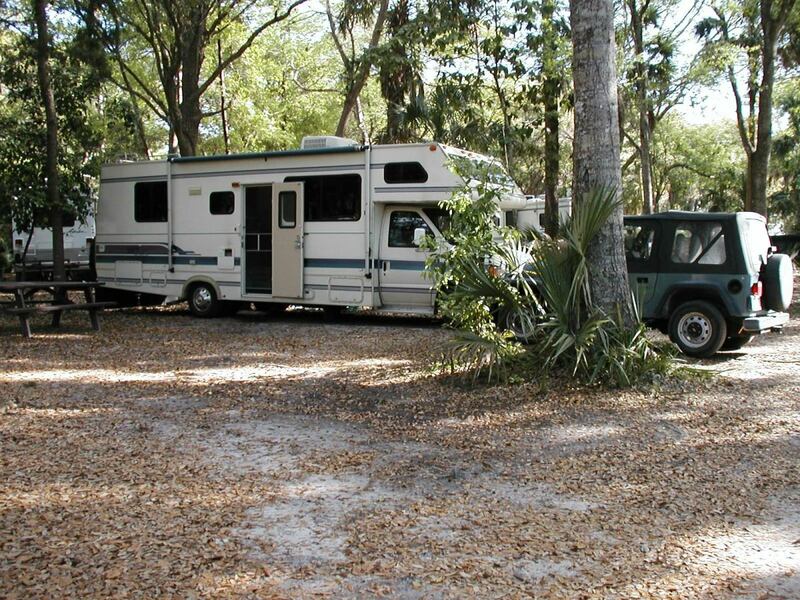 People who purchase an RV expect it to have certain amenities. And those amenities need certain power connections that make them work properly. When you took your tour of your RV, before you bought it, at first glance it seemed a simple thing to operate and use. But when you look closely inside an RV, even inside a simple pop-up camper trailer, there are power and electrical systems there that you probably had no idea existed. An RV, from little pop-up camper trailers to the big travel trailers and even the large fifth-wheel campers will have propane tanks mounted on or inside it. and in some RV's, your gas oven, though RV's from the past decade are likely to come with a more efficient convection microwave oven instead. RV’s have several different electrical systems built into them. Some RV's will only have one or two of these electrical systems in them while a large motorhome might include all of these different electrical power systems to power the many accessories and appliances in the motorhome. During the mid-twentieth century, campgrounds started offering electrical hookups at their campsites for RV owners to use. Because the RV's of that time had little or no electrical equipment in them, campgrounds just had to provide one or two 110-VAC connections with maybe a maximum of 10-15 amps of current. 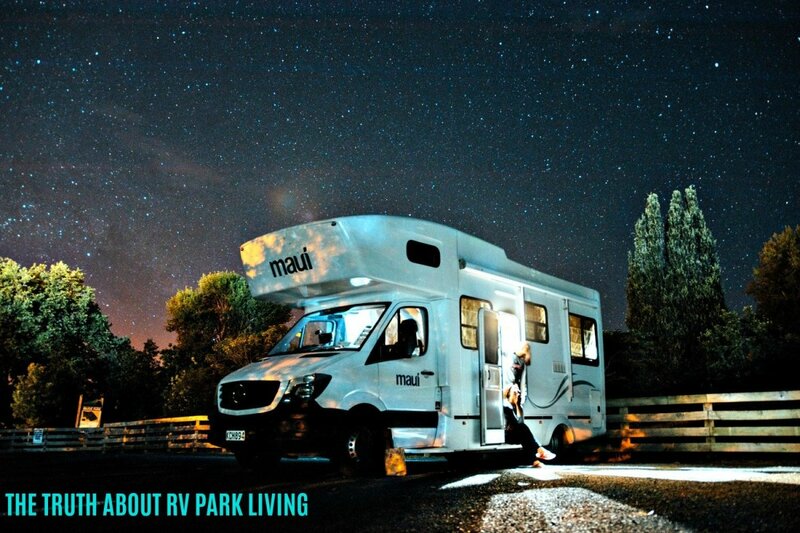 Over time, though, RV manufacturers added more built-in electrical equipment into their RV’s, and campgrounds started to offer 30-amp 220-VAC service at their campsites. Eventually, as the equipment list grew, campgrounds had to offer 50-AMP 220-VAC service. 50-amp, 220-VAC 4-pin connector and a double breaker. 30-amp, 220-VAC 4-Pin connector and a double breaker. 15-amp or 20-amp 110-VAC 3-pin connector with a single breaker. In fact, the owners of some of those really big motorhomes will often have to call ahead and find a campground that has sites with dual 50-amp (or 100-amp) connections in order to power everything in their camper. Otherwise they will have to get by on a single 50-Amp service. As motorhomes evolved, boondockers (campers who often use their RV's without any external power) started demanding motorhomes with generators installed. When a motorhome has a built-in generator, the owner can operate their RV’s appliances and other accessories regardless of where they might be camping. These installed generators are designed to be capable of providing enough current for all of the electrical systems in their RV to operate properly. This is why you will usually see a 5500-watt generator in an RV that has a 50-amp external service, because that’s exactly the power needed to operate everything in the RV. If you do the math: 110-VAC multiplied by 50 amps equals 5500 watts. But, an RV owner should realize, these installed generators are not designed to operate ALL of your extra appliances, tools, chargers etcetera that you might plug into the receptacles..
All 110-VAC power in an RV, regardless of whether it comes from an external AC voltage source or a built-in AC voltage generator, will go through the RV’s AC transfer switch before it goes to the main AC breaker panel for distribution to everything in the RV. There is a power control panel in each RV which does several things for the owner. Power selection. Because a camper can be plugged into external power and the owner can also turn ON the generator, the control panel senses whether there is generator power present and if it is, it will operate a "transfer switch" that makes sure there will only be one power source allowed into the RV at a time. Power allocation. If you plug your big 50-amp RV into a campsite power box that only has 30-amp service, the power panel will allocate the power available to only as many of your large power-consuming appliances (like air-conditioning units, washer-dryers, hot water heaters) that can be operated safely with the limited 30-amp power available. GFCI. RV’s also have GFCI systems built into them. These systems operate the same as they do in a home; if they sense any small current flowing between the common wire and the ground wire, they will “kick OFF”. This capability protects any people using an appliance plugged into the GFCI receptacle from any "leakage" current flow. Most GFCI receptacles will be connected to several other receptacles. These “slave” receptacles are usually in places where a person using an appliance might also touch something grounded. You will usually find these slave receptacles in the kitchen area, the toilet area, and on the outside of the RV. The master GFCI will have two buttons on it; one marked “test” and the other marked “reset." If the GFCI kicks out, you can easily reset it with the reset button. Electricity can kill a person if they make mistakes when around power sources. No inexperienced person should attempt to test or repair electrical problems. RVs will have one or more 12-VDC power systems in them that are used for interior equipment. A camper trailer or fifth wheel trailer will only have one 12-VDC system, often referred to as the MAIN or CHASSIS system, while a motorhome will also have a 12-VDC system, referred to as the AUX or COACH system, which is there for powering these interior accessories in the motorhome. The engine's 12-VDC system, called "CHASSIS," is like the electrical system in a regular automobile. 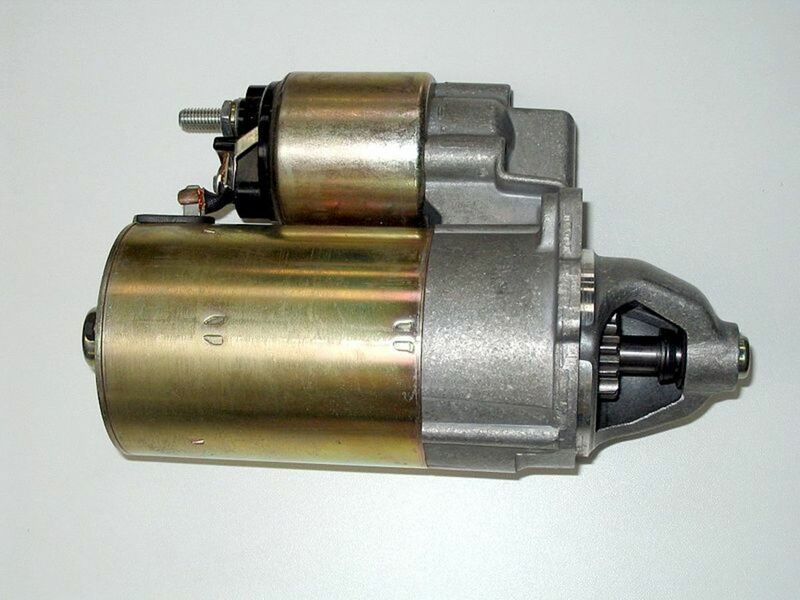 It consists of a battery and alternator along with electrical features typically found in automobiles, such as the radio, dash lights, headlights, and running lights. 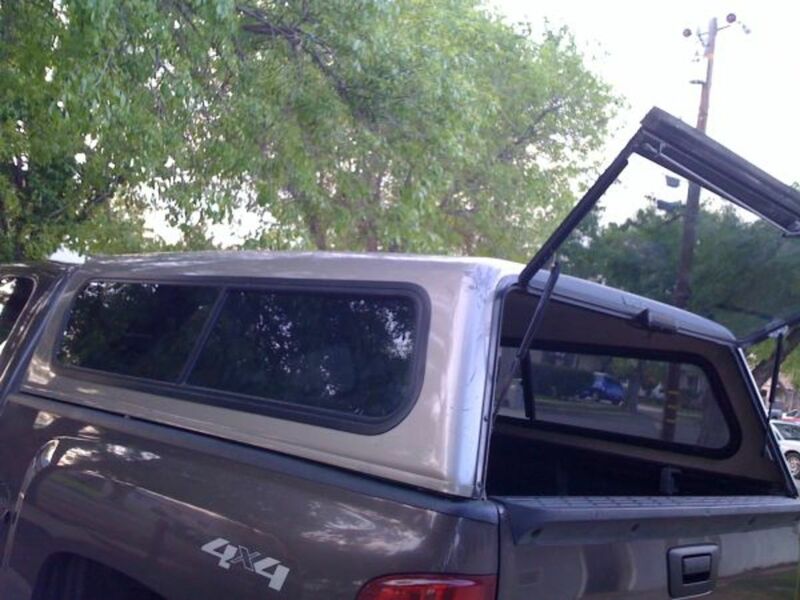 On a camper-trailer, the chassis or engine system will typically also power the camper’s running lights, power awning, power entrance step and any exterior camping lights. 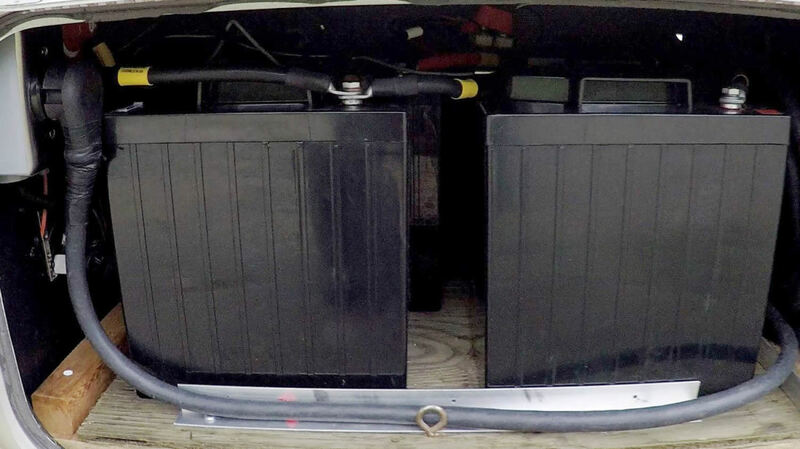 The AUX system consists of a 12-volt battery or two (or two or four 6-volt batteries) configured to provide 12 VDC for the camper's interior auxiliary devices. These include the interior lights, gas and fire alarm boards, two-way fridge control circuit board, RV power control panel, etcetera. These AUX batteries are kept charged by the built-in converter (charger) when the RV is plugged into an external 110-VAC source. Electrical systems in a camper or motorhome are protected by circuit breakers and fuses. Typically, the AC voltages are protected by breakers and the DC Voltages are protected by fuses which are normally standard automotive fuses. Because of the heavier wiring used for AC Voltages you will find the breaker panel is usually located near the area of the external power input. Some of the DC fuses will normally be located in the standard automotive circuit fuse panel located near the engine or sometimes under the dash. There will be another fuse panel for the RV related equipment that runs on the AUX or CHASSIS battery system. It may be located almost anywhere in the RV. A multimeter is a device that you can use to make electrical measurements in your RV, which you often have to do when a problem crops up. The multimeter gets its name from the fact that it is capable of making multiple different measurements: voltage, current and resistance (or continuity). It’s a great tool for a skilled electrician. And honestly, even if you are not an electrician, you can still use a multimeter and safely check for a lot of potential problems yourself. I do not recommend that an unskilled person try to make certain measurements themselves. Measurements that require wiring be disconnected and tested, for example current measurements, can be extremely dangerous for an experienced technician, much less a novice. But you can measure a DC voltage or even an AC voltage safely if you make sure not to not touch any connections or wires that might have power on them. Before you start, make sure all power is turned OFF. Never place your hands on a bare wire or an electrical terminal. Only touch the insulated part of your meter leads and never touch the metal tips. It is smart to wear a pair of insulating gloves when making measurements. Once a measurement is made, remove the probes from any connections or terminals and place them safely out of the way. As soon as you make a measurement, write the reading down for reference later, as well as which terminals, connectors, or wires you checked. And the thing most often forgotten by multimeter users; Turn it OFF before you put it away. The key to checking for a suspected electrical problem in your RV is to use a multimeter for the job, and you will find that it pays for itself quickly when you can find a simple electrical problem yourself. But, again, ALWAYS take all SAFETY precautions when you are dealing with electrical problems in your RV. How Much Should You Pay for a Multimeter? I’ve seen RV owners pull out multimeters and even complex electrical testing equipment that someone sold them telling them they needed it. These items cost them hundreds of dollars apiece and the RV owner usually had no idea how to use them. Even though I am an electrical engineer, I only carry one piece of electrical testing equipment in my RV: a multimeter. Have an auto-range function so that it steps up or down to a reading of the highest accuracy. 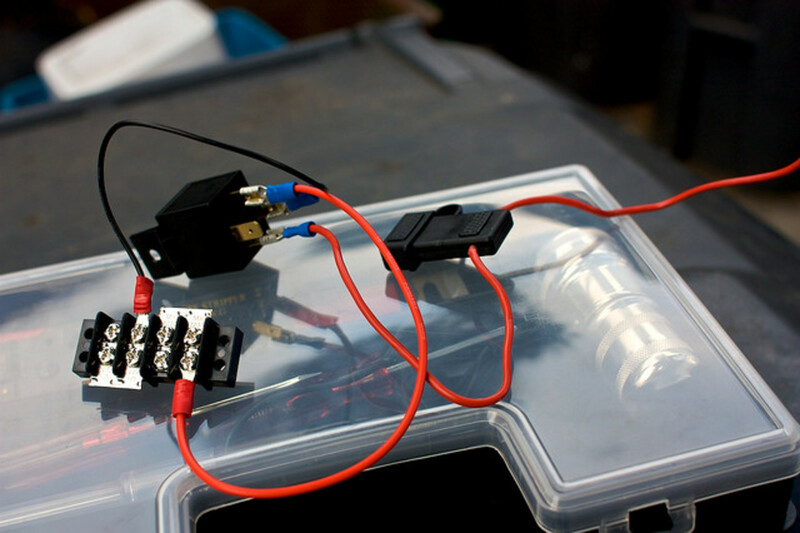 Operate on a 9-volt battery. Have a nice flexible pair of meter leads that are insulated and have protected metal tips. Be able to measure continuity (resistance) if you suspect a wire is not connected on one end or has been broken. And that’s it. Measuring anything else is not necessary most of the time anyway, and once you go beyond these simple AC and DC voltage measurements, you most likely will need to hire an electrician to find your problem anyway. This is a great multimeter for the average RV owner. 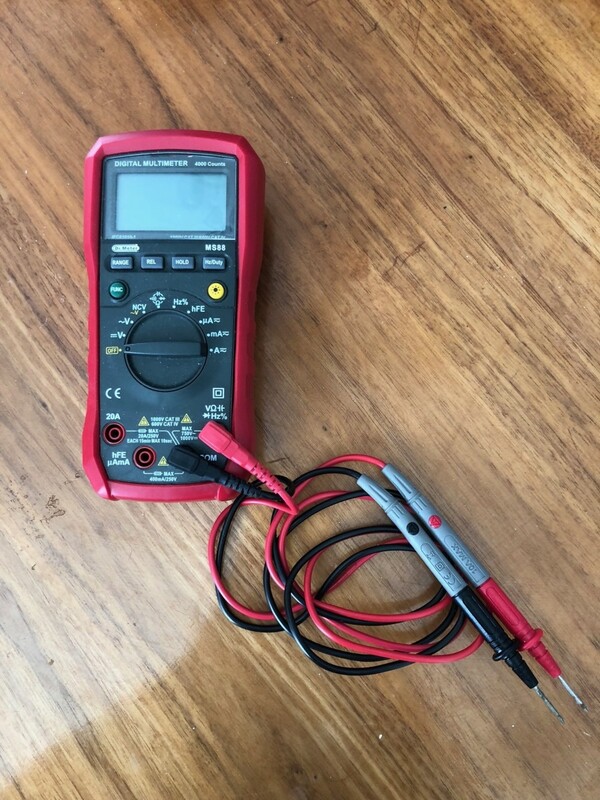 My old multimeter is no longer available, but after a careful review of this model's functionality, I decided that if I had to purchase a new one, this one would be my top choice for the price! Not only can it accurately measure the DC and AC voltages that are found in an RV, but it has functions useful for other measurements. How to troubleshoot common electrical problems that may cause breakers to trip and fuses to blow. Information on fuses and resistors, power drawn by common appliances, and electrical terms and abbreviations. 8 months ago from Beatrice, Nebraska U.S. When I had my RV's the only problems I ever had was with the 12 volt chassis system. The multi meter came in real handy in those instances. I am not going to tell you how many 9 volt batteries I discharged by not shutting the multi meter off after use. I actually ruined one by leaving the dead battery in too long. The one recommendation I would make is remove the battery when not in use. It is cheaper in the long run than replacing a multi meter that has sat with a dead battery too long. I am glad that my article was able to bring back some good memories for you. That's what Life is about, building great memories. I have learned a lot from this hub. My parents had small motor caravans from the 1960s-early 2000s and I recall the great deal made about the new hook ups when they first came in.